It's the moment we've all been waiting for since the last notes echoed through Lucas Oil Stadium, instruments and uniforms were packed, and the final corps pulled out of the parking lot to close out last August's World Championships in Indianapolis. Today, everything begins anew. The 2014 Drum Corps International Tour is officially underway, and here's what you need to know! 1. 2014 marks the 42nd anniversary of the Drum Corps International Summer Tour. 2. This summer's tour will be made up of 107 competitive events staged on football fields across the country. 3. Participating drum corps will make stops to perform in 100 different cities in 39 states. 4. On average, World Class corps will log 10,000 miles on their journeys across the U.S.
5. More than 50 corps in World, Open and All-Age divisions will participate in this summer's tour. 6. That roster includes seven brand new or re-emerging Open Class corps. 7. Two international corps are expected to make the journey overseas in 2014 including Patria from Guatemala and Northeast Technical from Thailand. 8. California and Indiana will each host 11 DCI Tour events this summer (the most of any individual state). 9. Indiana's 11 includes the DCI World Championships in Michigan City and Indianapolis. 10. 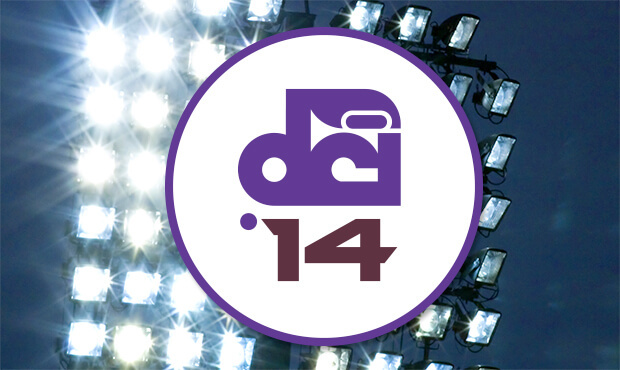 The 2014 DCI Tour will span 53 days, kicking off on Wednesday, June 18 in Indianapolis. 11. The tour will start and end in the same city for the first time in more than a decade, culminating the first full week of August in the Circle City. 12. Those who are jonesing for drum corps action but can't make it to the stadium on June 18, can catch the entire season-opening competition live on the DCI Fan Network. 13. Competition gets underway in the Pacific region on Friday, June 20, with the "Best of the West" heading to Stanford Stadium on Saturday, June 21. 14. The Stanford event is another that'll be webcast live via the DCI Fan Network, giving many fans their first look at what's happening on the "left coast." 15. In addition to Indianapolis and Stanford, the Fan Network will offer live webcasts of more than a dozen events in 2014, in addition to on-demand playback of many more. 16. New Fan Network features in 2014 include the ability to stream live events on mobile devices, 720p video quality, more multi-camera events, faster digital downloads and upgraded performance reliability. 17. From the computer screen to the big screen, Drum Corps International will present its fourth-annual DCI Tour Premiere on Monday, June 23. 18. The one-night-only cinema event will be seen in more than 450 movie theaters nationwide, featuring the season opening performances of seven World Class corps recorded in Akron, Ohio. 19. Back in the west, San Antonio's Crossmen will make their first trip to the Golden State since the DCI World Championships came to Pasadena in 2007. 20. The annual DCI Minnesota Premier Event in Minneapolis will take a one-year hiatus from TCF Bank Stadium in 2014 due to a scheduling conflict. 21. In its place will be an event in Eden Prairie, Minnesota on Friday, July 11, and one in La Crosse, Wisconsin on Saturday, July 12. 22. On the banks of the Mississippi River, the DCI La Crosse show will take place in the hometown of the Blue Stars. 23. The event will help celebrate the corps' 50th anniversary. 24. Other corps celebrating milestone anniversaries this summer include Carolina Crown (25 years) and the Crossmen (40 years). 25. The annual Drums Along the Rockies event on Saturday, July 12 will welcome the Madison Scouts to Mile High Stadium for the first time since 2009. 26. Carolina Crown and the Blue Devils—last summer's gold and silver medalist corps—will not face off in 2014 until July 13 in DeKalb, Illinois. 27. That DeKalb show marks the first in a series of eight Tour of Champions series events, which bundles special pre-show and intermission entertainment provided by the corps with their typical competitive productions. 28. The DCI Tour makes its return to the great nation of Texas with five exciting events scheduled from July 17 to July 21. 29. The biggest of them all will be the DCI Southwestern Championship on Saturday, July 19 at the San Antonio Alamodome. 30. The Southwestern Championship will be the first of the summer that takes place indoors and will also be the first time in 2014 that all 22 World Class corps perform in a single night of competition. 31. After a successful debut in 2013, Drum Corps International's SoundSport and DrumLine Battle programs are expanding this season with more events and participating groups. 32. In addition to ensembles from the U.S. and Canada, participants will include units from as far away as Asia, including the defending DrumLine Battle Champions E-Sarn of Thailand and also Medellín, Columbia's Grande Banda. 33. Designed to be fan-friendly, flexible, and economical for the groups involved, this summer's DrumLine Battle and SoundSport events have been opened to school groups and other organizations. 34. Delayed field construction at Middle Tennessee State University in Murfreesboro, will cause the relocation of the longstanding Masters of the Summer Music Games event to Vanderbilt University in Nashville. 35. Some may remember Vanderbilt as the site of the 1992 DCI Preview of Champions. Star of Indiana took first place at the show, besting the Blue Devils by just under a point. 36. Always one of the best-attended events of the entire summer, the 2014 DCI Atlanta Southeastern Championship returns to the Georgia Dome on Saturday, July 26. 37. In Atlanta and several other events, students can Kick Start their fall marching band season, with the return of popular educational leadership workshops hosted at select DCI Premier Events. 38. Open Class corps will once again kick off World Championships Week in Michigan City, Indiana, starting Monday, Aug. 4. 39. The 2014 Open Class World Champion will be named in Michigan City on Tuesday, Aug. 5. 40. The traditional World Championship Individual & Ensemble competition will get a new name in 2014 when the DCI Performers Showcase presented by System Blue comes to the streets of downtown Indianapolis. 41. The Performers Showcase will take place the morning and afternoon of Wednesday, Aug. 6, giving individual corps members the opportunity to showcase their skills, including vocal and woodwind talents. 42. Also on Wednesday, Aug. 6 in Indy, the newest class of DCI Hall of Fame members will be honored during the Hall of Fame Kickoff Party at Historic Union Station. 43. Getting underway with the World Championship Prelims on Thursday, Aug. 7, this summer marks the sixth anniversary of events at Lucas Oil Stadium in Indianapolis. 44. That makes Lucas Oil Stadium just a year shy of matching the record held by Madison, Wisconsin's Camp Randall Stadium as the venue to host the most World Championships in DCI history. 45. The World Championship Prelims on Thursday, Aug. 7, will once again feature an "all-skate" of corps with World and Open Class ensembles competing against each other to advance to the Semifinals. 46. If you can't make it to the stadium for the Prelims, Drum Corps International will present its "Big, Loud & Live 11" cinecast to more than 550 movie theaters nationwide. 47. The Semifinals on Friday, Aug. 8 will feature the top 25 advancing corps after the Prelims. 48. The top 12 corps will compete for the World Championship title on Saturday, Aug. 9. 49. Back by popular demand, Finals Night will be webcast in its entirety exclusively at DCIFinals.com. 50. It's not too late to experience the excitement! Great tickets for every event on the 2014 Drum Corps International Tour are still available.